Odessa, TX – Odessa Arts, in conjunction with Downtown Odessa, Inc., is pleased to announce the lineup for the 25th Season of Hot Summer Nights. In addition to the exceptional musical acts that have become the hallmark of this free outdoor concert series, this year will again see the addition of food trucks, preferred seating and swag for Odessa Arts members and Downtown Odessa, Inc. Sponsors. Volunteers from First United Methodist Church will also be shuttling attendees from parking areas to the concert via golf cart. The concerts will start at sundown and will be located in Noël Plaza, next to the Ector County Library. In the event of inclement weather, shows will be moved to Deaderick Auditorium at Odessa College. 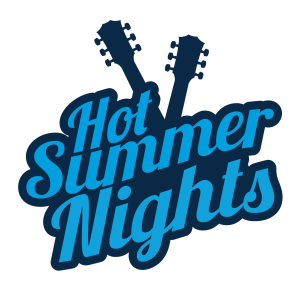 Hot Summer Nights is made possible by Odessa Arts, Downtown Odessa, Inc., The City of Odessa, The City of Odessa: Parks & Recreation, Creative Marketing Nerds, First Basin Credit Union, and First United Methodist Church.